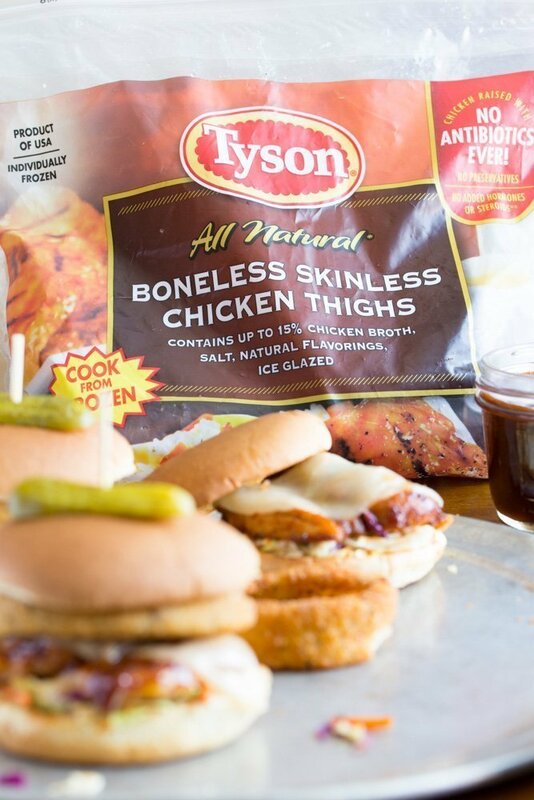 This post is sponsored by Tyson Foods, Inc., but the content and opinions expressed here are my own. Grilling during the week always make me feel like we are on a mini vacation. Especially when we have friends stop by for a relaxing evening! 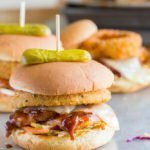 Luckily these Bourbon Barbecue Grilled Chicken Sandwiches are a cinch to make with the help of Tyson® Frozen Boneless Skinless Chicken Thighs and Ball Park® Burger Buns from Walmart. 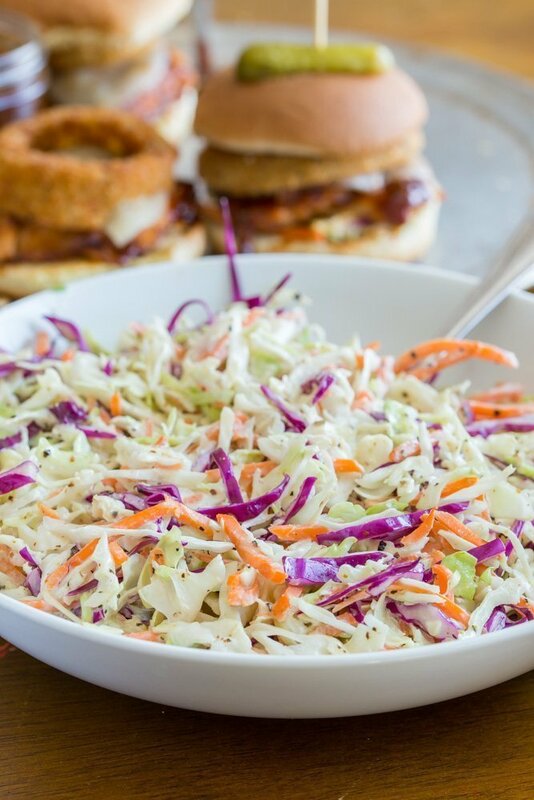 Even my favorite crunchy coleslaw comes together quickly because of shortcuts like pre-shredded vegetables from the produce department! 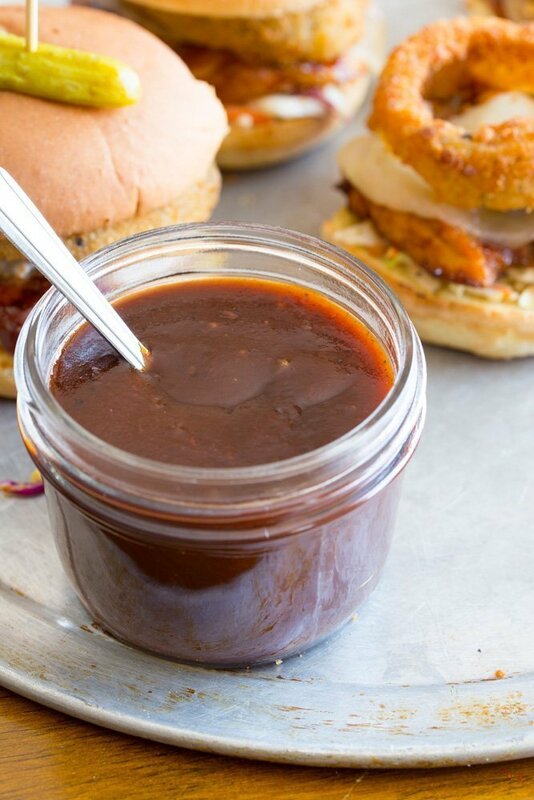 The real star though is the Bourbon Barbecue Sauce made with brown sugar and sriracha for a little heat. Homemade sauces are a great way to elevate your favorite sandwiches. Plus you get to control the quality of ingredients! So while this sauce is plenty sweet, it still has less sugar than most store bought sauces. 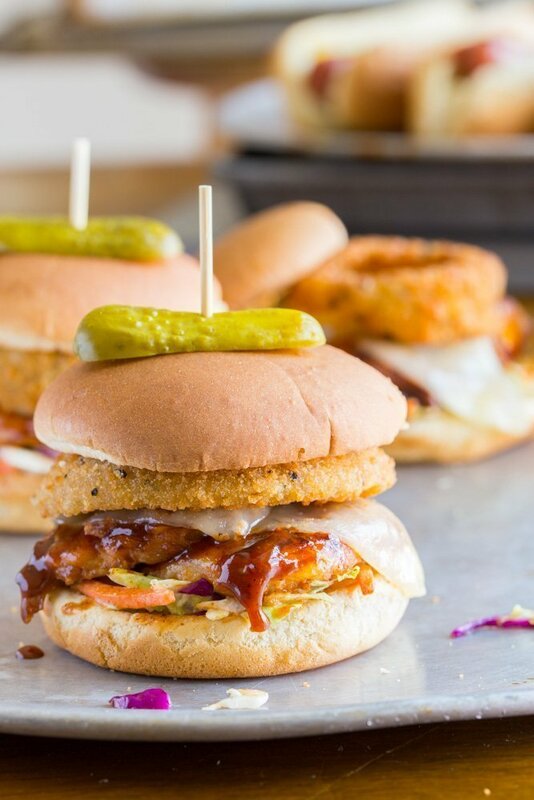 It balances perfectly with the tangy coleslaw and crunchy onion rings on these Bourbon Barbecue Grilled Chicken Sandwiches. Who needs side dishes when you can pile it all on your sandwich, right?! 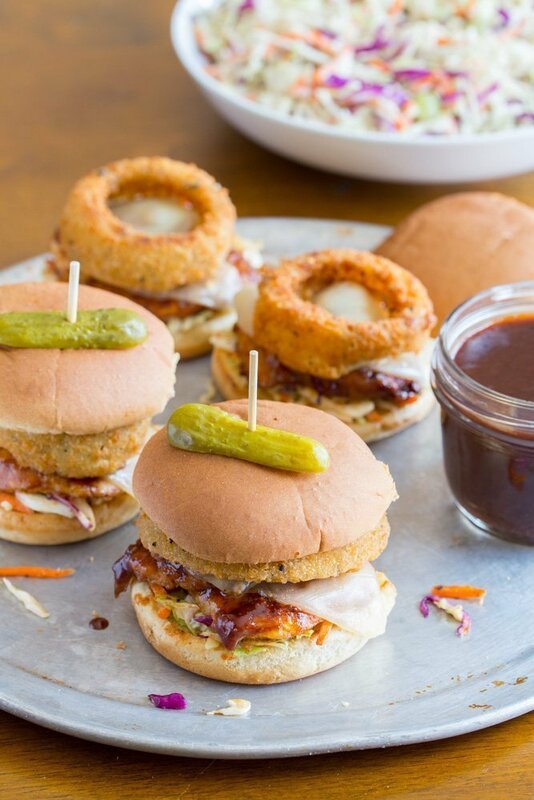 When you pick up the ingredients for these tender, juicy Bourbon Barbecue Grilled Chicken Sandwiches. 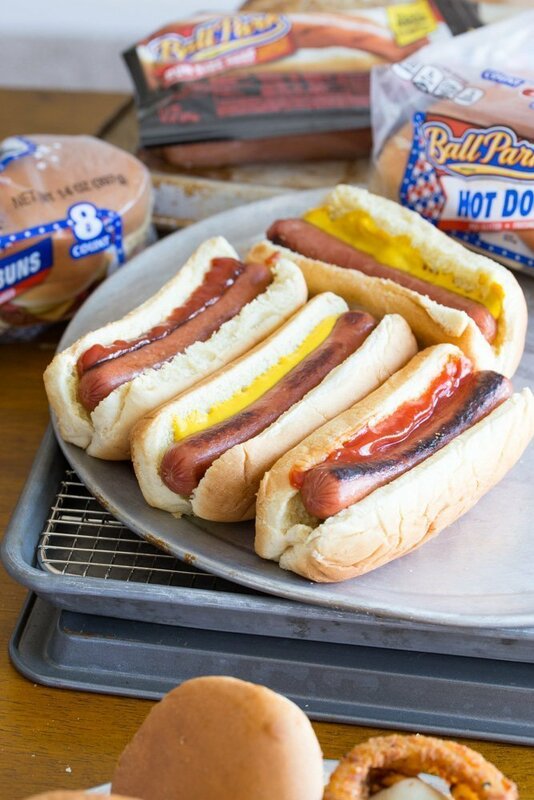 Don’t forget to stock up on Ball Park® Hot Dogs and Ball Park® Hot Dog Buns for the upcoming holiday weekend. No one can resist a classic hot dog hot off the grill. It just puts you in a festive mood! I hope you like my Bourbon Barbecue Grilled Chicken Sandwiches as much as my crew does. If you love this delicious weeknight dinner idea, you can find more like it by checking out my Dinner section! For recipe inspiration delivered to your inbox, subscribe to my newsletter, follow my photography journey on Instagram, and for generally inappropriate humor follow like me on Facebook!